It was a time of pioneers and pristine forests when a man could set up his own saw mill business with a few oxen and some ingenuity. It was back when the only way to get lumber down from the mountains was to carve out your own road down grades so steep that the only way to slow the team was to drag a tree behind the load. It was a fascination to Donald M. Griner, whose own long life witnessed the transition from those days of invention and fortitude to the present. 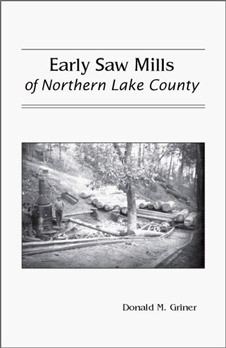 This book is full of people, places, industry and events which would be lost were it not for his careful chronicle, preserved with affection, admiration and respect for this integral part of Lake County’s past.